Custom - Cover It Up Creations "Covering You In Style"
Any color, metal, beads, chain, or semi-precious stones can be turned into something just for you! Hand stamping on just about anything. 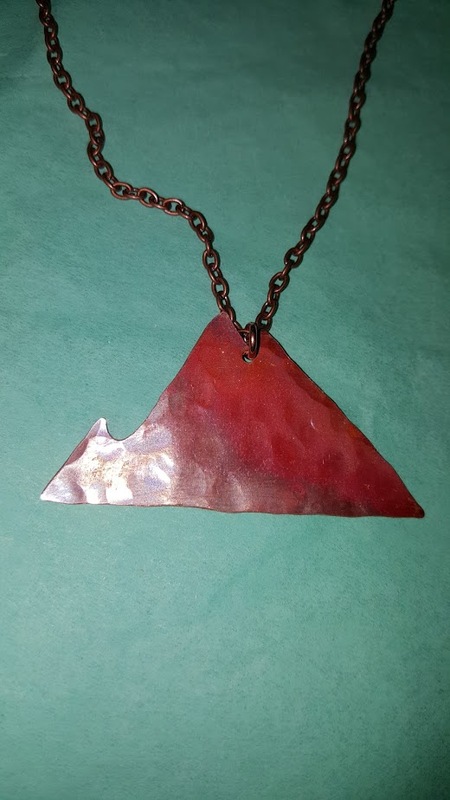 Hand forged jewelry or specialty items. Jewelry for a specific outfit, wardrobe change, formal occasion like prom or wedding. The sky is pretty much the limit. To your bottom left, is a prime example of custom made, hand forged flatware. 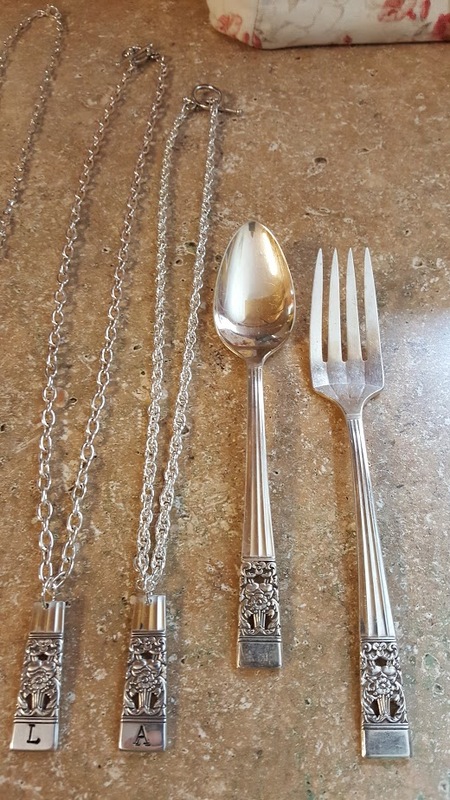 If someone in your family has silver or silver plated silverware, I can convert the flatware into jewelry, napkin holders, key chains and other specialty items, so you and your family can always carry a piece of Grand-mom or Mom with you forever. So don't be too quick to get rid of or sell your family heirlooms. Call me for a free quote today; 484-686-3170 or go to the Contact menu and fill out the form. This was a set of flatware from a grandmother, passed down. It was made into pendants and given as a special surprise. An incredible moment! The above is hand sawed into a mountain range and specially torched with chemicals to give it a reddish patina. 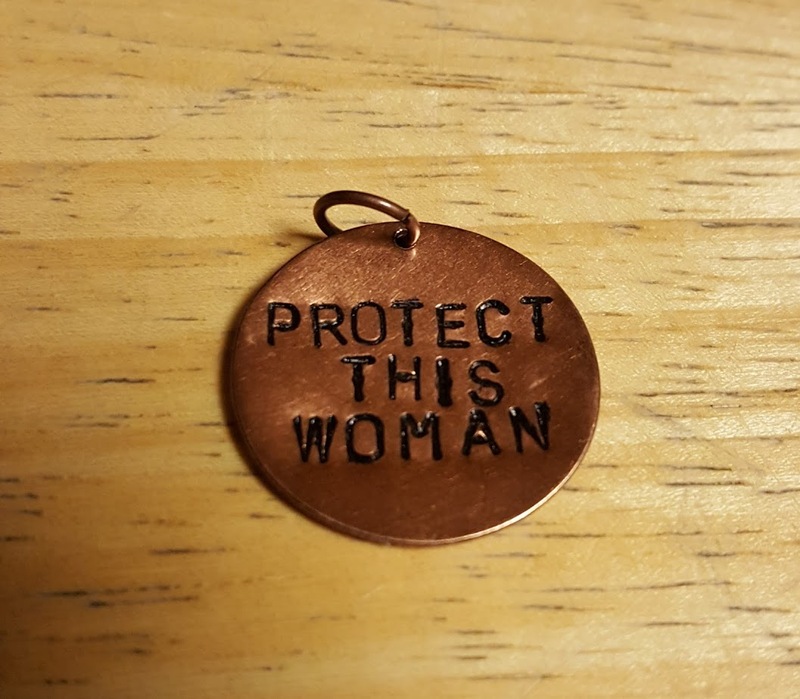 ​The hand stamped charm below, was for a woman battling cancer. These hand forged spoon rings were from an old set of flatware.